Water leaks in a property can be potentially devastating. They can cause a massive amount of damage to the property as well as to personal possessions and furniture, which can be particularly emotional for the property owners. Whether the leak comes from a broken pipe, washing machine or dishwasher, it can be very expensive. 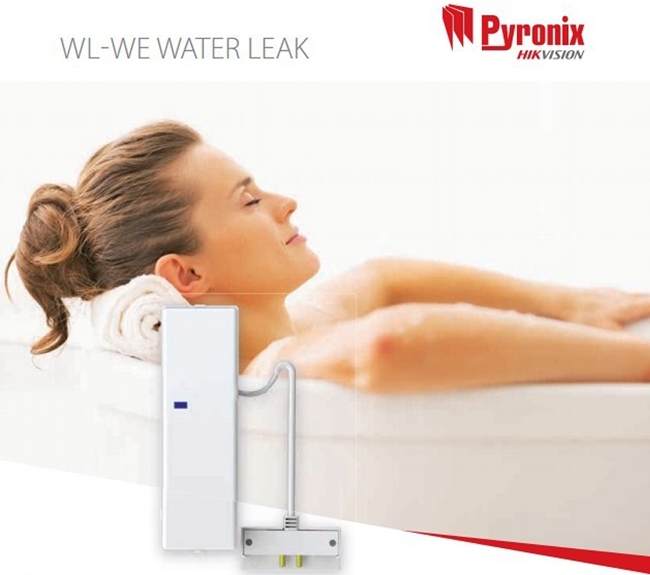 The WL-WE is an easy upsell that is simple to install and immediately warns of any leaks to minimise damage. It also has the capability of HomeControl+ App push notifications and more. cation to draw their attention to the problem. If the housing of the WL-WE is not fitted properly during the initial installation, or after a battery change, the rear tamper will trigger to alert that it is not fitted correctly. Any sabotage attempts from the front or back will result in an alarm activation. This ensures maximum security is maintained against accidental or malicious tampering of the system. Get early warning of water leaks and minimise damage that can be caused by burst pipes, leaks or other types of flood. As part of the Enforcer range of products the WL-WE water leak sensor has the same installation features and wireless protocol as the rest of the range, making this the ideal choice for retro-fitting into a property as no wiring is required. The wireless technology used on the multi-award winning Enforcer system holds a significant advantage over One-Way and some Two-Way wireless products available on the market. The Two-Way wireless protocol has been developed by Pyronix to ensure that communications between all wireless system components are protected with one of the highest levels of security, 128 bit Pyronix advanced encryption.